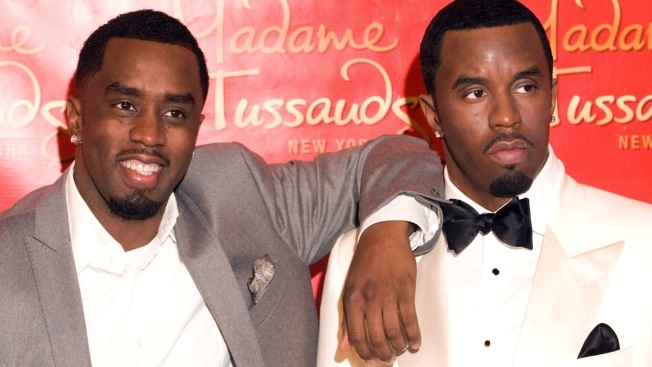 Sean Combs unveils his wax figure at Madame Tussauds in New York, Tuesday, Dec. 15, 2009. A man knocked over a likeness of Sean Combs at Madame Tussauds in Times Square, causing the head to fall off, police said Sunday. The man then stomped on the head, the NYPD said. The suspect went to the ninth floor of the museum of wax statues on Saturday evening, then started yelling at the statue of the singer and music mogul also known as Puff Daddy, P. Diddy, Diddy and Puffy. After stomping, the man fled on foot, police said. The suspect was wearing a black jacket with a hood and blue jeans, police said.